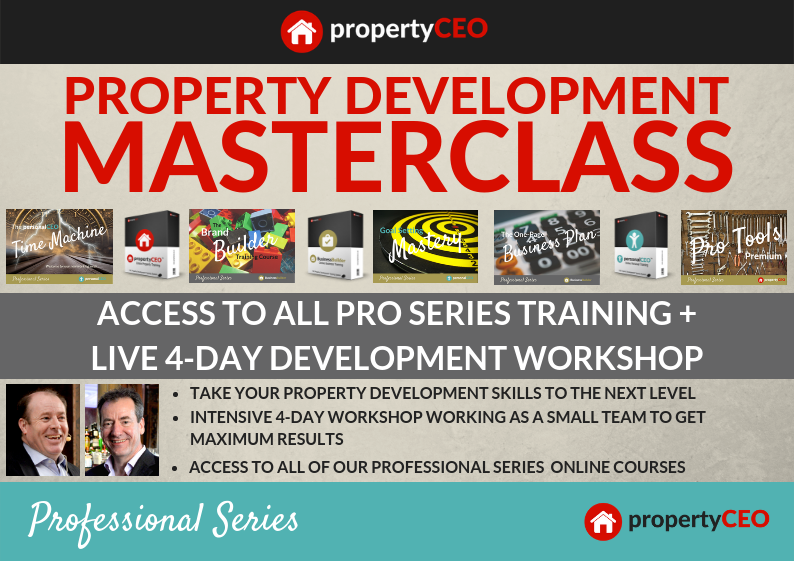 The Property Development Masterclass has been designed to fast-track graduates of the Foundation course to the next level. Building on your Foundation course knowledge, the Masterclass will be delivered over 4 intense, content-packed days and will show you how everything you’ve learned so far can be put into effect on a development project. This hands-on, classroom based course follows a live project from beginning to completion. The course will include live workshops, professional team interviews and full video-coverage of an end-to-end project that has been completed and managed by propertyCEO, where you’ll get to see the site develop from its raw state to the finished article. The full price of the Property Development Masterclass is £4,997 + VAT, however we can offer a very attractive price when both the Foundation Course and the Property Development Masterclass are purchased together. If you would like to find out more, please get in touch through the Helpdesk at enquiries@propertyceo.co.uk and we’ll set up a call with you to answer any questions you may have.